Do you have a kid (big or small!) who loves Star Wars? 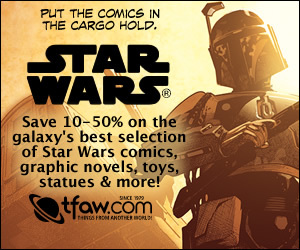 Well, today, we bring you some great gift ideas to make this year a Star Wars Easter complete with chocolate candy and tiny plushies. 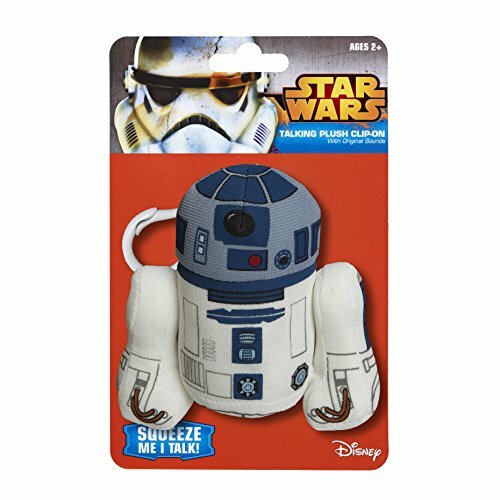 There are loads of tiny Star Wars items that you can use to make up a gift basket too – check out our Star Wars Valentine’s post for cute keychains and candy dispensers or our Fun Flash Drives post for loads of Star Wars character flash drives. 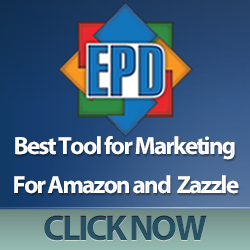 The main thing you need to make a good Easter gift basket is a basket or container of some kind. 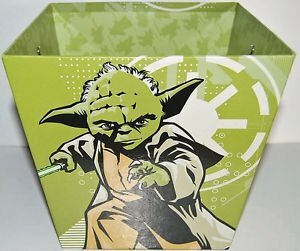 Luckily, this Yoda Paperboard bucket is the perfect size for a small selection of gifts, measuring 8×8 inches and it’s in stock too! 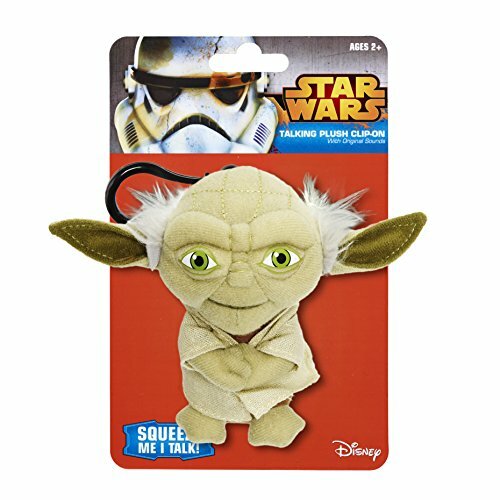 There’s also a Plush Yoda Basket available although it’s selling out fast. 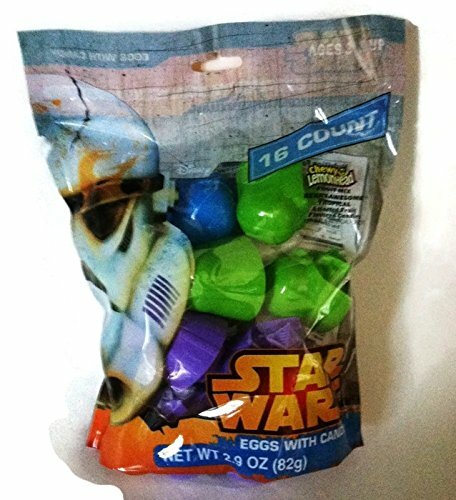 If you just want a chocolate Easter egg then this Star Wars egg and snack set might be just the thing or you could decorate your own eggs with this Star Wars egg decorating kit. My memories of Easter as a child was all about the chocolate – maybe that’s why I’m still such a chocoholic these days! 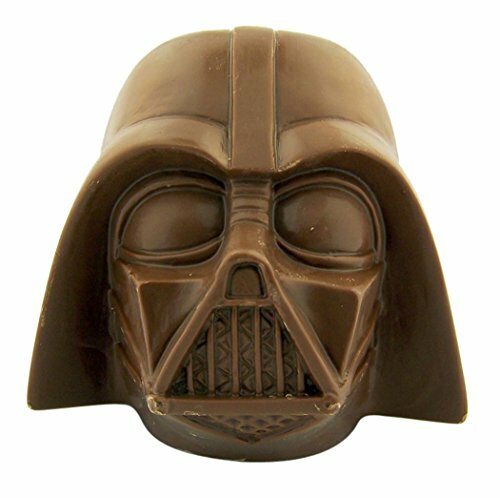 This Jumbo Darth Vader chocolate head will be a great hit with children and adult Star Wars fans – just don’t eat it all at once! 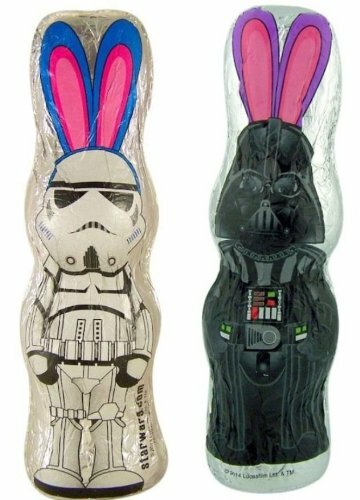 I love the Star Wars chocolate bunny shapes – how funny is Darth Vader with rabbit ears? Lastly we have some tiny Star Wars plushies to add to your Star Wars Easter basket. Both Yoda and R2D2 are about 4 inches tall and have a clip attachment. They are probably a little large for a keychain but as a clip-on for a backpack, they are perfect. 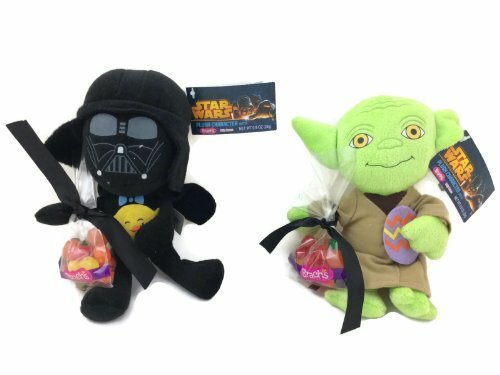 I love the little Darth Vader and Yoda plushie set too – both are carrying a little bag of jelly beans which won’t last long, I’m sure but they are just the right size for a Star wars Easter gift basket. Putting together your own Easter gift basket is always a good idea – you get to chose exactly what goes in so if you need to be careful about tiny pieces or have dietary restrictions, you can make sure your basket is safe for your child. As long as the basket itself is themed and there is candy, I’m pretty sure most kids won’t stop long enough to appreciate all your hard work anyway! 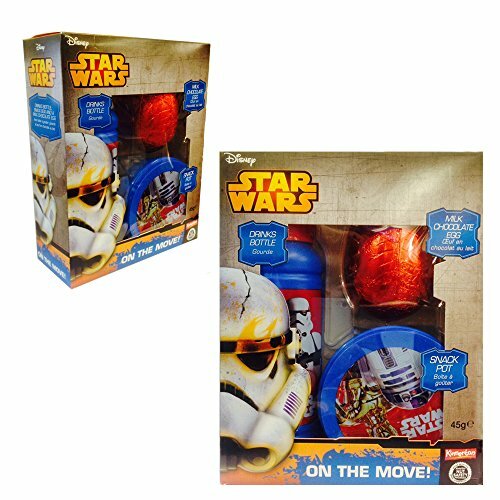 If you want more Star Wars themed items, Lego is always a great gift and luckily, there are loads of Lego Star Wars sets available to fill any empty spaces in your Star Wars Easter gift basket. 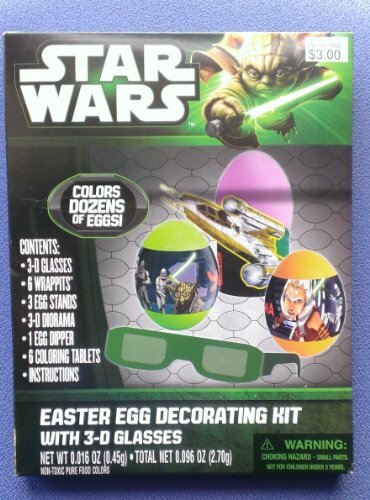 Check out our list of other Star Wars gift idea posts – there’s lots of stuff available that would fit a Star Wars theme Easter basket too!